I am a reliable, hardworking and flexible team member, who is highly self-motivated and ambitious. To refine the visual merchandising I learned at a multinational clothing and homeware retailer, I completed an Advanced Diploma in Retail Display and Merchandising at East Berkshire College. During that time I was awarded a Highly Commended Certificate and a Gold Medal. Since graduating, I have gained more confidence in my abilities which are constantly improving. 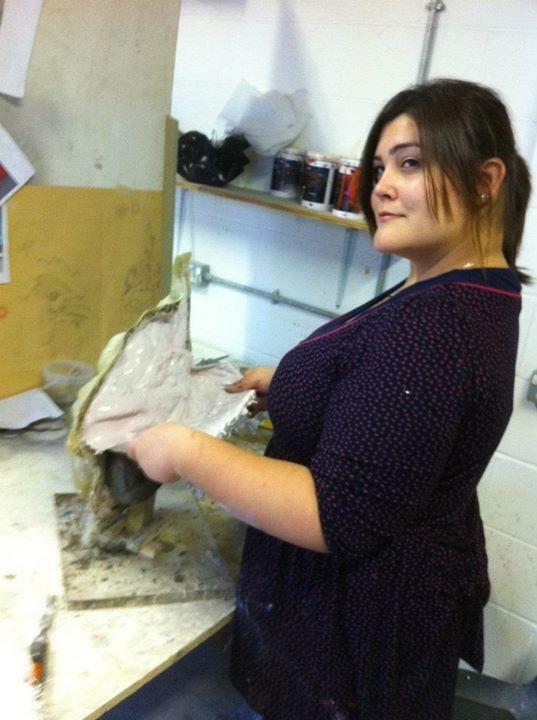 I have skills in woodwork, metalwork, prop making and scenic painting, which I am continuing to develop. In my spare time I enjoy model making, and as a member of the Replica Props Forum, I regularly discuss techniques with professionals. I also like to read fantasy, thrillers and general fiction books, especially those which have later been adapted for television. I have always enjoyed watching movies, particularly horror and science-fiction, which I believe have motivated my desire to work within this industry. Awarded a First Class BA (Hons), Scenic Arts (Construction, Props and Painting)from Rose Bruford. Awarded the Gold Medal and Certificate by The British Display Society (BDS). Awarded the Highly Commended Certificate by The British Display Society (BDS).